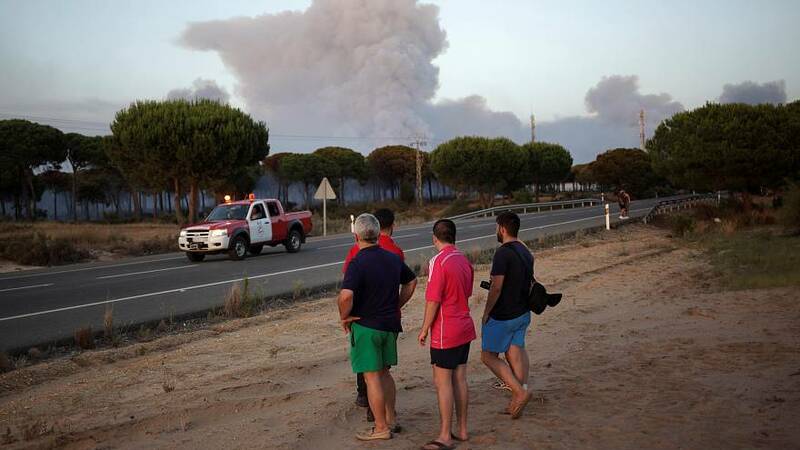 Spanish firefighters battle to contain the blaze threatening the Doñana natural park in Andalucia. More than 2,000 people have been forced to evaucate, among them tourists. The fire is yet to reach the national park of the same name, declared a UNESCO World Heritage Site in 1994.